The Best American Expat Blogs from thousands of American Expat blogs in our index using search and social metrics. We’ve carefully selected these websites because they are actively working to educate, inspire, and empower their readers with frequent updates and high-quality information. Europe | Middle East | Global About Blog Young American Expat (YAE) digitally showcases and storytells the lives of the approximately 9 million Americans who are currently abroad, as well as the notion of living abroad in general (both from current stories and those from history). There is a particular focus on the younger segment in their 30s and younger (both current young expats and formally "young" expats). Facebook fans 1,220. Twitter followers 3,951. Facebook fans 44,191. Twitter followers 22,154. Shenzhen, Guangdong, China About Blog We are Drew and Julie, serial American expats who made a new home for ourselves in London, and are now heading further afield to China! We use our little corner of the internet to inspire all travellers, armchair explorers, wanderlusters, and those whose travel itch needs a little scratching. Facebook fans 2,701. Twitter followers 15,508. Quintana Roo, México About Blog I’m Paul and I write all of the posts on this site. Linda, my wonderful wife of over 16 years, does all of the editing. We got rid of 99% of our belongings and started a new life in Mexico. We now write articles about living in Mexico. Everything you need to know about moving to Mexico. Facebook fans 16,797. Twitter followers 164. Facebook fans 16,352. Twitter followers 35,345. New Zealand About Blog Living in New Zealand and travelling the world, expat Rhonda Albom takes you on a vicarious adventure as she captures the essence of travel through photography, stories, tips, and humour. She inspires young baby boomers to travel New Zealand and the world. Facebook fans 2,464. Twitter followers 27,350. Facebook fans 8,728. Twitter followers 78,616. Grandville, MI About Blog Greenback makes life better for Americans living abroad and aims to take away the anxiety and hassle of helping US expats become and stay compliant with their US taxes while overseas. Greenback understands that filing US taxes while living abroad can be daunting and Greenback was founded on the belief that it doesn’t have to be this way. Greenback is proud of helping people navigate a ridiculously complex system in a way that makes sense for their individual situation. Facebook fans 2,890. Twitter followers 1,281. Brentwood, TN About Blog A blog about the tales of an American mother of four in Johannesburg, and the top source of relocation advice for expats moving to South Africa. Facebook fans 1,942. Twitter followers 694. Regensburg, Bavaria About Blog Hi there! Guten Tag! My name is Lorelei, I’m an American expat living in Germany with a serious addiction to adorable half-timbered houses, fairy tale towns and castles. I moved to Germany alone in 2012 where I soon met my husband and together we travel through Germany and Europe, sharing our stories and tips along the way! Facebook fans 1,481. Twitter followers 2,501. Johannesburg, South Africa About Blog My name is Heather Mason and I’m an American in Jozi. (“Jozi” is the local slang term for Johannesburg. We also call it Joburg.) I write a blog called 2Summers. I’ve developed a passion for Joburg that I’ve never felt for any other place. I love exploring this wacky city, which is unlike any other city in the world. I love walking Jozi’s streets and discovering places that most lifelong Jozi-ites don’t know about. Facebook fans 3,355. Twitter followers 3,857. Copenhagen, Capital Region of Denmark About Blog Hej! I’m Erin, an Oregon girl living off the Oregon Trail in Copenhagen, Denmark. Exploring, learning and connecting with a growing family of five. Focus on green family travel and sustainable adventures. Facebook fans 559. Twitter followers 4,045. Facebook fans 677. Twitter followers 13. Quito, Ecuador About Blog Not Your Average American has explored city streets and back roads, high mountains and sandy coast, jungle rivers and the wild islands of the Galapagos. We share our experience – good and bad- in hopes that you might want to venture south and plan your next vacation in Ecuador. Our articles are honest because we want to develop a relationship of trust between you, the reader, and ourselves, the writers. Facebook fans 2,077. Twitter followers 718. About Blog Hello. I'm Eemma, a US expat living in Mexico. Welcome to my blog where I share my experiences living and traveling in Latin America. Facebook fans 599. Twitter followers n/a. London & Surrey About Blog I'm Elfa, a stay at home mom and I write a Lifestyle & Family blog (days out, style, parenting). Married to a Brit & raising two children who make fun of my accent. Facebook fans 818. Twitter followers 5,656. About Blog As the name suggests, Two Americans in China is the brainchild of two American expats who call China home. Amanda and Seth have lived in this country since 2010. Their blog offers information about varied topics, some of which include travelling within the country, local events, and the country’s one-child and two-child policies. Given that the couple has successfully managed to adopt a child in China, they share details about their experiences on this front. Facebook fans 2,128. Twitter followers 1,584. USA | France About Blog If you’re an expat, American or not, curious about living in France or looking for helpful advice, you’ve come to the right place. I hope to serve as a one-stop site for great expat links, news and original articles. Facebook fans n/a. Twitter followers 1,359. 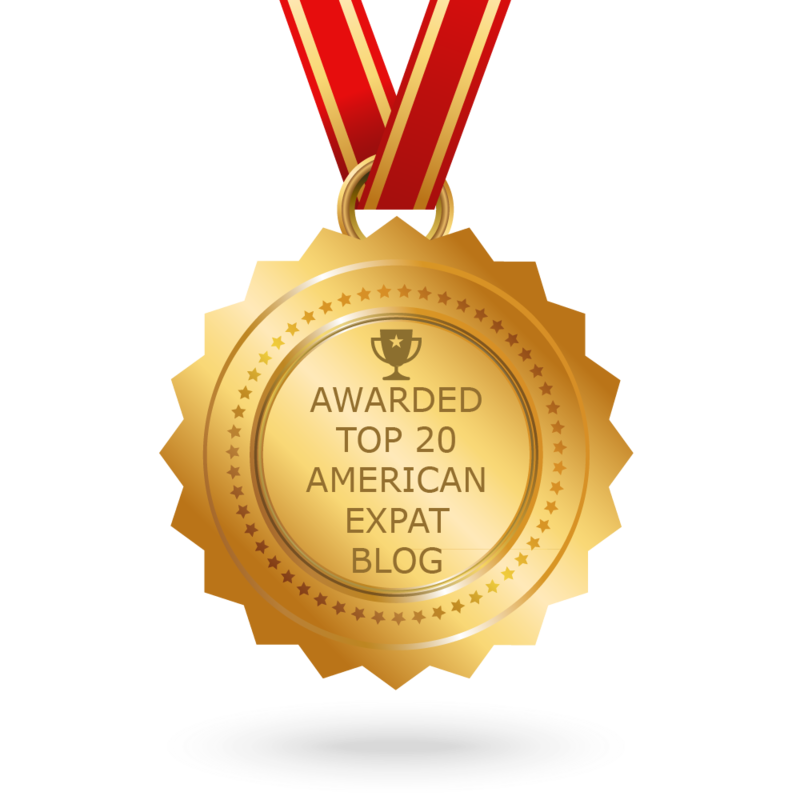 CONGRATULATIONS to every blogger that has made this Top American Expat Blogs list! This is the most comprehensive list of best American Expat blogs on the internet and I’m honoured to have you as part of this! I personally give you a high-five and want to thank you for your contribution to this world.